Black on White background with large print keycaps. 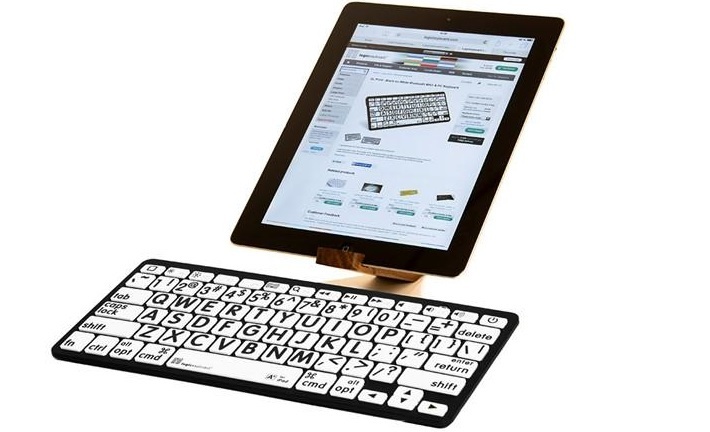 Bluetooth mini keyboard. 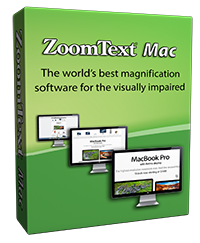 ZoomText ImageReader is a software and camera solution that makes printed text accessible to people who are visually impaired or blind, including books, magazines, business documents and more. 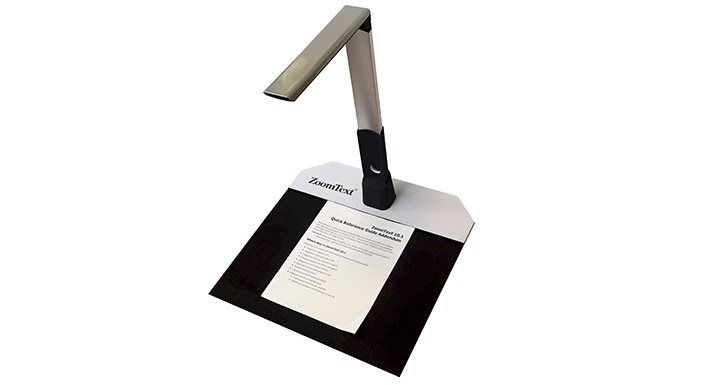 Put the printed item underneath the included document camera, snap a picture, and a few seconds later the text appears in large, high-contrast fonts and is read aloud in natural-sounding voices. Designed for anyone who struggles to see the lettering on their keyboard, the ZoomText Large-Print Keyboard makes typing faster and easier than ever before. Each key and button label is easy to see, even in low light, thanks to its 36-point text and choice of high-contrast color schemes. 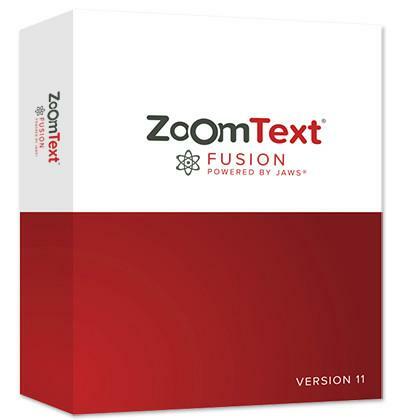 The only commercial screen magnifier for the Mac platform, ZoomText Mac makes it easy and enjoyable to see and use all of your applications, including email and the Internet. Now also includes several speech features including an innovative reading tool called WebReader! Supports Apple’s newest “El Capitan” operating system. 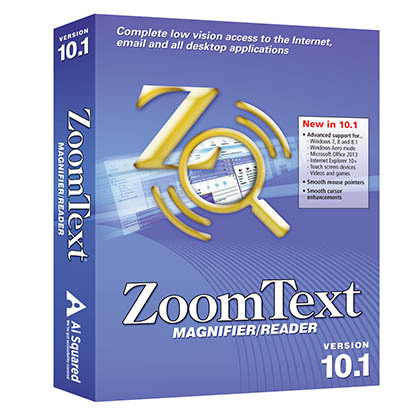 Features crystal clear xFont magnification, customizable enhancements to on-screen colors, pointers, and cursors, complete screen reading, easy to use document reading tools, and so much more.